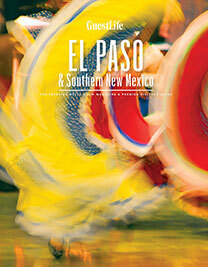 Centered downtown, El Paso's nightlife shines brightly with live music, theater, and dining for every taste. Sitting at the crossroads of New Mexico, Texas, and Mexico, this big city boasts the best of each, turning heads for its urban desert parkland and performing arts and garnering new fans for its family-friendly vibe and diverse cuisine. For several years, downtown El Paso has been experiencing a renaissance, which is now in full swing. The hub has received hundreds of millions of dollars in public and private investment, with 22 major projects finished and more underway, including new and restored hotels and the revival of the city's historic streetcar system, which will connect downtown and the university neighborhoods. The neighborhood's facelift has deep roots. 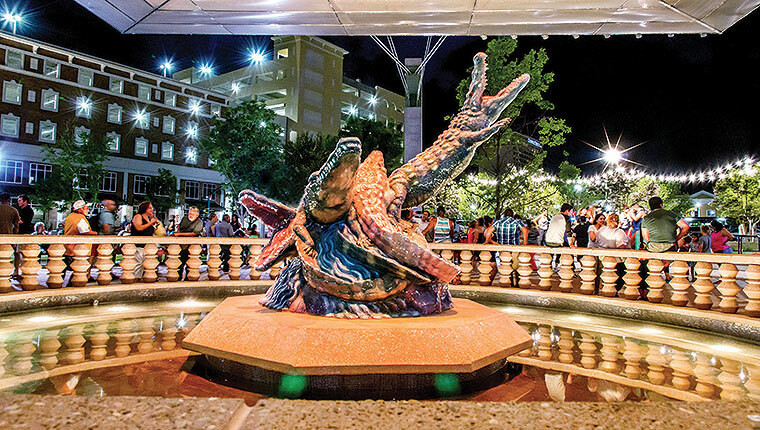 Take them in during a 90-minute self-guided downtown walking tour that begins at San Jacinto Plaza, where a sculpture by native son and artist Luis Jiménez commemorates the live alligators once kept here. Families will linger in the plaza for hours thanks to its splash pad, chess games, pingpong tables, horseshoe court, and café. 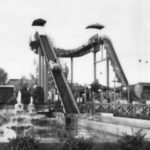 The tour then hopscotches to 25 more stops, including several buildings designed by architect Henry C. Trost, who shaped El Paso's cityscape with its first skyscrapers; his 15-story Bassett Tower was once the tallest building in downtown. Trost designed another downtown gem, Camino Real Hotel, which is undergoing renovations. Conrad Hilton — yes, that Hilton — opened his first high-rise hotel, the Plaza Hotel, in downtown El Paso in the 1930s. Elizabeth Taylor once lived in its storied penthouse. Other bold-faced names (Elvis Presley, Steve McQueen, Ali MacGraw) have been guests of El Paso International Hotel, now a DoubleTree. Beyond its history, downtown El Paso has a bustling present. Since 2011, the Downtown Arts District has celebrated hundreds of exhibitions, open-air concerts, and festivals. 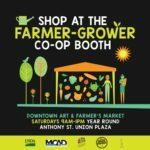 Every Saturday, El Paso Downtown Art and Farmers Market transforms Anthony Street into a vibrant thoroughfare with yoga classes, kids' craft stations, and local growers' stands. Planning is underway for an arena, a children's museum, and a Mexican-American cultural center downtown, which will ensure the next phase of the district's evolution. This festival includes top local bands, a vintage car show, an art park, and more. Chalk artists transform downtown with their creations. San Jacinto Plaza in downtown El Paso.